Justin Sullivan/ Getty ImagesHillary Clinton has become the presumptive Democratic nominee. Hillary Clinton has “reached a milestone,” and many celebrities couldn’t be happier. 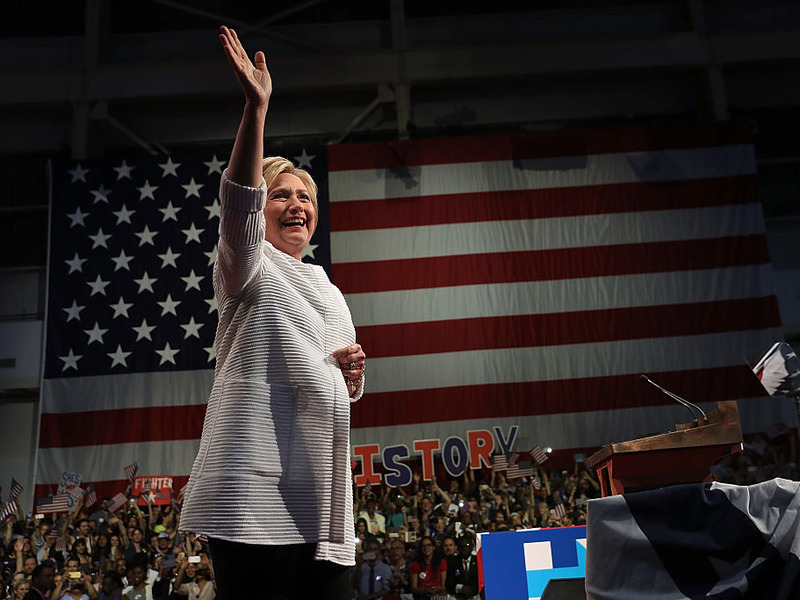 Clinton made history Tuesday night when she became the first female presumptive presidential nominee. Read what other celebrities had to say about Clinton’s historical moment. A lot of little girls are in bed right now dreaming for the first time, without limits. You broke the mould @HillaryClinton ???????? Regardless of where you stand politically, tonight is a very special night for women in this country. 240 years later, it’s about time. I THINK I’M 1ST 1???? Congratulations to @HillaryClinton on her historic win!